In the future, when the story of the Trump administration is finally assembled in a book or more likely scrawled on the wall of a fallout shelter, former White House Press Secretary Sean Spicer will likely be a footnote. Most people can’t name any previous press secretaries, let alone press secretaries that only served for the first six months of an administration. 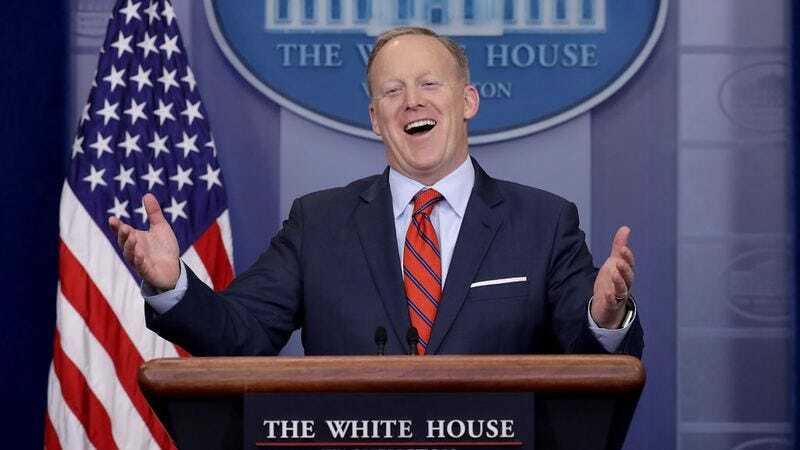 But with Spicer’s time in the spotlight coming to a close and his myriad gaffes still fresh in our minds, let’s remember Sean Spicer for who he really was: A guy who couldn’t talk good despite that being his entire job.